I don't like waiting. Largely because I am convinced that my time is precious and I don't like to waste it. It's one of the reasons I nearly always travel with a book or two wherever I go so that in those unexpected moments of delay I can redeem the time. Yesterday I had to do a lot of waiting around. I was tagging along with Kim as she had some meetings with key people. At one point, after standing in a corridor for 20 minutes, I said, "I don't need to be here." To which she replied, "But you are here because you love me." She checkmated me. It seems there is a connection between waiting and love. "But if we hope for what we do not see, we wait for it with patience." I suspect that I am not the only one who doesn't particularly like waiting. But Kim's statement was very insightful. Waiting is a sign of love. During World War 2, many sweethearts were separated as young men went off to the battlefront while their girlfriends (or fiancés) waited for them at home. We have had several couples in our church who went through World War 2 and had to wait up to six years to be reunited! True love waits. Wait for the Lord, the Psalmist exhorts. Waiting requires trust. Authentic trust requires love. In reverse: if you love God you'll trust God and if you trust God you'll wait on Him. How do youwait on God? When you come to that time of your day when you still yourself and read God's Word, take a moment to pray a prayer of invitation. This prayer of invitation asks God to speak to you and to show you what you need to know. "Father, thank You for Your Word. I now ask You to speak to me. Help me to hear your voice and give me the courage to heed Your voice. I yield my life to You. Amen." To wait on the Lord requires something of the worshiper. It requires a change of priorities. It calls the follower of the Crucified Supreme Lord to seek God and His kingship first. Life can be busy. Spiritual waiting all too often just has to wait. But God is calling His people to wait on Him. Be still. Reflect on His Word. Pray yielding prayers. Invite Him to speak to you, lead you, guide you, and use you. It will be worth the wait. Ruby, Zoe, Kim and myself been away from home for month now. We are still away for more than another week. 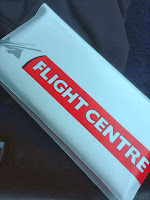 Our journey commenced by leaving Tasmania and heading for Queensland. 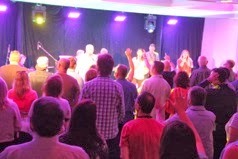 While there, we attended and I spoke at the Acts 2 Alliance National Conference (held at Tweed Heads). This would have to have been the best Church conference I have ever been to. The Conference speakers were excellent. Their input was timely. They added value to those present. I spoke on the closing night of the Conference and committed one of the greatest mistakes any guest speaker can make. Not a day has gone by when the regret of that contribution has not grieved me. The day after the Conference sessions was a bus trip around northern NSW, including Byron Bay. It was a wonderful idea and enabled some closer connections with those attending the Conference to get to know each other in a different light. This bus trip culminated in a BBQ at a beautiful property which afforded the most exquisite sunset. Unfortunately at the BBQ I picked something up which saw me take ill. We were due to fly out of Brisbane the next day to Los Angeles, and I was somewhat fearful I might not be able to board the plane. But thankfully, both my body's involuntary reactions and prayer, enabled me to be well enough to make the 13 hour VA007 flight on VirginAUSTRALIA. We arrived in Los Angeles and was collected by my very long-time friend and mentor, Dr Richard Winter. Richard pastors an Assemblies of God church in Huntington Beach (south of Los Angeles). I was privileged to speak at Richard's church, Pacific Coast Community Church, that Sunday and was very well received. Richard and his wife, Wendy, also hosted us for five days. We managed to also visit Saddleback Church, and The Church of God in Christ (Black Church) in West Angeles. On the Tuesday following my arrival, I was privileged to be the guest at the Latin American Bible Institute (LABI) which is an Assemblies of God training school offering up to Associate of Arts diplomas. I was able to introduce Apologetics to these students. Several of them enquired about coming to Tasmania to be an intern at our church. A trip to Los Angeles is never complete without visiting two places of interest. The first is Disneyland. The second is similar, the Trinity Broadcasting Network. Richard and Wendy Winter blessed us incredibly with their extraordinary hospitality for which we are ever grateful. After we took leave from them we were collected by Amy Rana and were able to once again renew our friendship with Fuz and Amy in Glendora. I took up the position of Scholar In Residence at Reasons To Believe which included the perk of being accommodated in their condo for a week. 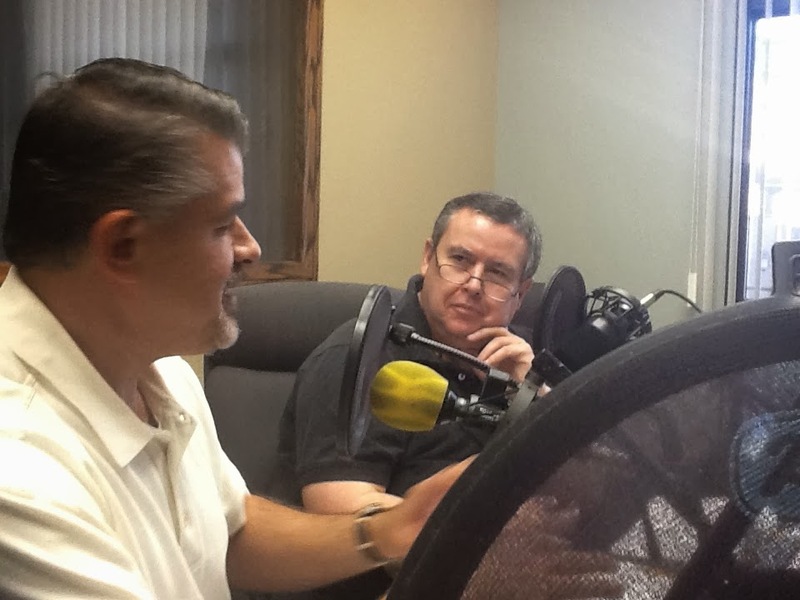 I participated in several video interviews about the role of Apologetics in the local pastorate and how RTB can aid pastors in seeking to be apologetically informed. 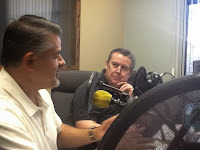 I also participated in two podcasts about the relationship between Pentecostal experience and Apologetics on Prof. Ken Samples program. I was able to video an interview with Dr. Hugh Ross about his upcoming trip to Australia. Our week with Reasons to Believe was capped off with a trip to the world famous San Diego Zoo with Fuz and Amy. As the day was closing we ventured up to the highest peak of San Diego where they have a memorial to their veterans. Fuz and Amy were tremendous hosts to us all as well. They drove us through the infamous LA morning traffic to drop us off at LAX for our flight to Toronto, Canada. We arrived in Toronto to be greeted at the airport by large signs welcoming us to the 'Queer' capital of the world and posters announcing a week long QLGBT celebration festival. 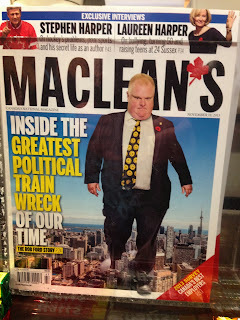 When we checked into our motel we were confronted at every turn by a media storm about the Toronto Mayor, Rob Ford. Mayor Ford had just admitted to smoking crack cocaine. As the week rolled on, videos came to light of the Toronto Mayor getting drunk with known criminal gang leaders and then ranting about how he wanted just 15 minutes alone with a particular person to murder them. In what could only be considered a deeply shameful episode for the city of Toronto, the Mayor Ford situation continued to get worse as revelations about infidelity and frequenting prostitutes came to light which drew yet another on-camera verbal tirade from the face of Toronto (for which he apologised at a Media Conference the next day). I couldn't help but think that just a few years ago there was an apparent move of God in this same city (referred to as "The Toronto Blessing"). Toronto stands as a dire warning to the Church everywhere: become insular and absorbed with your own 'blessing' and the world you are trying to reach may become darker and more hostile to Christ and His ways. My main purpose for visiting Toronto was to go to McMaster University in Hamilton (south of Toronto) from whom the great F.W. Boreham received his Doctor of Divinity Degree in June 1928. I am deeply appreciative to Adam who works for the Canadian Baptist Archives, who found Dr Boreham's student card and other records for me. This research will form part of the background to the upcoming FW Boreham Story Documentary - NAVIGATING STRANGE SEAS. We then acted like tourists went down to Niagara Falls on the USA border. We drove from Toronto to Granby Quebec (a six hour drive). What was immediately obvious to us was the stark lack of Canadian flags once we left Ontario and entered Quebec. Quebec (the eastern most province of Canada) is for all practical purposes another country. They speak French. They don't share the same English heritage as the rest of Canada. But the folk that we interacted with in Granby were extremely warm to us - even though we didn’t speak French! I had previously made the acquaintance of M. Luc Gringras, but this was an opportunity to meet his very impressive wife, Natalie. I conducted a weekend seminar at Luc Gingras’s church, La Place called- Get Closer (which dealt with relationships between friends, husbands and wives, families and within a church. It was very well received largely thanks to my translator, Yvonne (Natalie Gingras’s father). We flew from from Toronto to New York City while Canada was still being shocked over new revelations of several of its politicians at various levels who had not lived up to the call of their high office. Again, it was very difficult for me not to see the connection between a church which had become shy and timid and a culture beset with corruption and rampant immorality. Arriving in New York, I almost felt like I had come home. I felt safe. My time in Canada had taken a toll on me though. I was still struggling to overcome my original food poisoning and added to this I was suffering some slight exhaustion and the effects of a flu I picked up in Canada. I spent a day trying to recover while the girls went out sight-seeing. You could probably spend a month in New York City and still not see everything! But Kim did in one day what many would take a week to do. The result was that Zoë said she would love to live in NYC. We caught the AMTRAK from NYC to Washington DC. This is a great train ride and in many respects far better than catching a plane because the leg room is ginormous and there is free WiFi. We were collected by Pastor Shawn Holcomb at Union Station and driven to Prince Frederick in Calvert County. Shawn is a young pastor with a huge responsibility at Crossroad Christian Church. This church would easily have one of the best facilities of any church in the USA. It has a gymnasium where basketball can be played (it was the venue for the original auditorium of the church). The main auditorium could easily house a thousand worshipers. The lower level has plenty of rooms and meeting areas including a Daycare Centre for children. Pastor Shawn Holcomb, Crossroad Church, St. Leonard. Conducting an UNDERSTAND THE BOOK OF REVELATION Seminar at Crossroad. At Crossroad, I conducted an UNDERSTAND THE BOOK OF REVELATION Seminar which was warmly received with some very encouraging feedback. On Sunday I preached a Word from God for the Church. Then Monday night I participated in a leaders' Q and A night. Ps Shawn and Michelle Holcomb are doing a fabulous job at Crossroad. Their church is big enough to make a difference yet small enough to care. On Monday Kim and I spent the day with my old friend, Mike Berry. This was Kim and the girls first time around Annapolis. We had lunch with Mike, Andra and Olivia. Mike and I go back some 23 years. The main reason we included Springfield on our itinerary was to meet with the leaders of Global University and communicate with them directly about where ICI College Australia is, where we want to take it and how we are going to get it there. Since resigning as an Assemblies of God pastor and becoming an Acts 2 Alliance pastor, we were in an usual situation representing what is essentially an Assemblies of God Theological College in Australia. Our meetings proved positive and fruitful. We have been shown wonderful hospitality by all the staff and faculty at Global University. And now we have reached the end of our American tour. In just a few days we fly home. We look forward to our return to our much beloved Tasmania.